There are several modes of transportation to and from school for students including school bus, carpool, bicycles and skateboards and the SIBshuttle. For students who ride the school bus, the drop-off and pick-up location is on the south side of the school on 182nd Drive. If driving your child(ren) to school, use the school drop-off and pick-up lane. The drop-off and pick-up point is on the east side of the school on Atlantic Blvd. During the drop-off and pick-up times, Atlantic Blvd. will be open to southbound traffic only from 183 – 181 Drive. Because of this, all approaching traffic will be diverted to Atlantic Blvd. and 181st Drive, and will then be directed to North Bay Road. 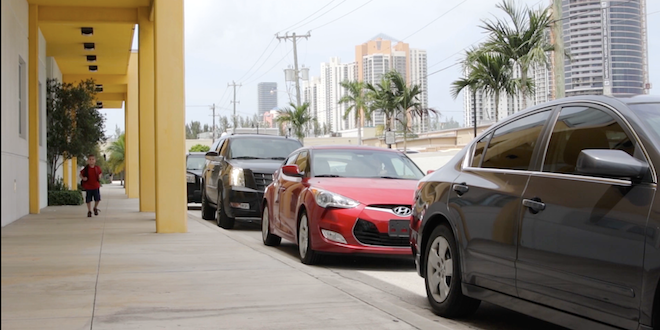 Sunny Isles Beach Police Officers will direct traffic during drop-off and pick-up time. Students must exit or enter the vehicle once you have pulled up to the marked drop off section on Atlantic Blvd. Students must be ready to immediately exit the vehicle during drop-offs so that the line can move efficiently. No u-turns in the Car Pool lane during dismissals and arrivals. Parking or dropping off your child within the RK Plaza Parking Lot will not be permitted at any time. Your vehicle will be subject to towing by private property owner if you choose to do so. Parents are advised to avoid parking in the Publix garage for school drop-off and pick-up as this can create a hazard. There is VERY limited parking around the school. Therefore, we encourage all of those who are driving to utilize the drop-off and pick-up lane. Yes, you will need to incorporate some extra time in to your routine to accommodate this, but it will be beneficial for everyone, as your children will be entering and exiting the vehicle at a safe and monitored location. There is no parking permitted in the RK Plaza lot. Your vehicle will be subject to towing by private property owner if you choose to do so. There is no parking permitted in the Publix garage. Your vehicle will be subject to towing by private property owner if you choose to do so. If walking your child to school, please use pedestrian crosswalks and obey crossing guards. 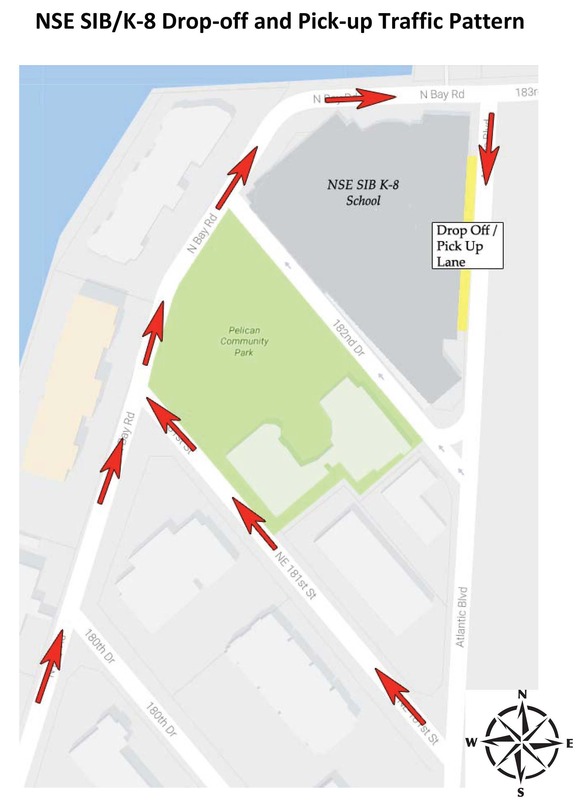 The north entrance of the school on North Bay Road / 183rd Street will no longer be open during morning drop-offs. All children must enter the school from the main entrance on the south or east side. Once your student is on school grounds, they must stop and walk their bicycle or skateboard. The bike racks are on the south side of the school on 182 Drive adjacent to the PE Shelter. A skateboard rack is located on the corner of 181 Street and North Bay Road next to the bus shelter. Students must have their own lock to secure their bicycle or skateboard. Students in grades K-5 who ride the SIBshuttle to and from school must be accompanied by a parent or guardian at least 18 years old. Middle school students in grades 6-8 are permitted to ride the SIBshuttle unaccompanied.